Are you searching for that perfect date night restaurant? Or are you a foodie looking to experience the best that our beautiful city has to offer? St. Augustine has just what you’re looking for. 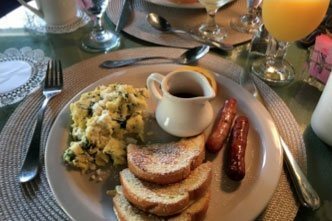 From incredible fusions of Spanish and Mediterranean foods to modern takes on old French classics, we do not lack in fine dining in St. Augustine, FL. And with Agustin Inn’s convenient location, we’re able to feature three amazing restaurants that are less than a three-minute walk from our front door! That’s right: World-class gourmet food can be found just steps away when you stay with us. Don’t miss out on any of these incredible restaurants! Looking for more fine dining in St. Augustine, FL? Request your free Vacation Guide! We’ve put together a list of the best restaurants in the area, from Spanish-style bakeries to gourmet chocolatiers. Discover the best of what the nation’s oldest city has to offer! Come and explore these delicious restaurants just minutes away from our door! Chef Michael Lugo, the owner of Michael’s Tasting Room, opened this restaurant after falling in love with St. Augustine’s old charms. He strived to create an atmosphere of casual fine dining. The result was a friendly environment with an exquisitely crafted selection of Spanish-Mediterranean food. The menu changes seasonally, based on what local ingredients are available. No matter the season, you’ll be able to get a delicious tapa (small plate), bocadillo (sandwich), or racion (entree). Don’t miss out on the housemade postres (desserts). The best part? Michael’s Tasting Room is less than 100 feet from Agustin Inn! No detail has been spared at Collage! Everything inside this beautiful and upscale restaurant has been meticulously chosen to create an incredible dining experience. The dishes are a mix of classic French and Italian cuisines, made from recipes that have been curated and refined for years. Collage is dedicated to preparing each dish from scratch, using fresh, local ingredients. Don’t miss the chance to try some delicious local seafood, expertly prepared. The shrimp and scallops All’ Imperiale are incredible, with large shrimp and scallops sauteed with peach brandy, finished with cream and then tossed with linguine. The wine list complements the menu perfectly, with a varied selection of reasonably priced wines that have been chosen for their winemaker, region, and the winery it was developed in. 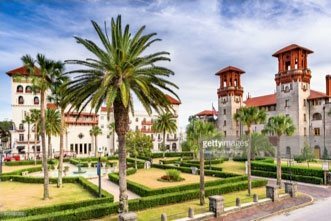 It’s is just a three-minute walk from Agustin Inn, so take advantage of our great location and visit Collage during your next St. Augustine vacation! 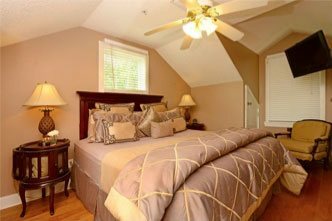 After experiencing the best of fine dining in St. Augustine, FL, walk back to the beautiful Agustin Inn for a relaxing night. 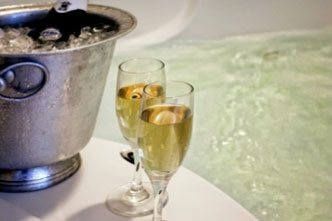 If you’re celebrating an anniversary, honeymoon, or simply on a romantic getaway, browse our specials and packages to enhance your stay. Our Agustin Classic Romance Package is the perfect way to enhance your vacation. It comes with a private carriage ride from the Inn, roses, chocolate-covered strawberries, and a gift certificate to one of St. Augustine’s signature restaurants. Browse our guestrooms and book your vacation today!